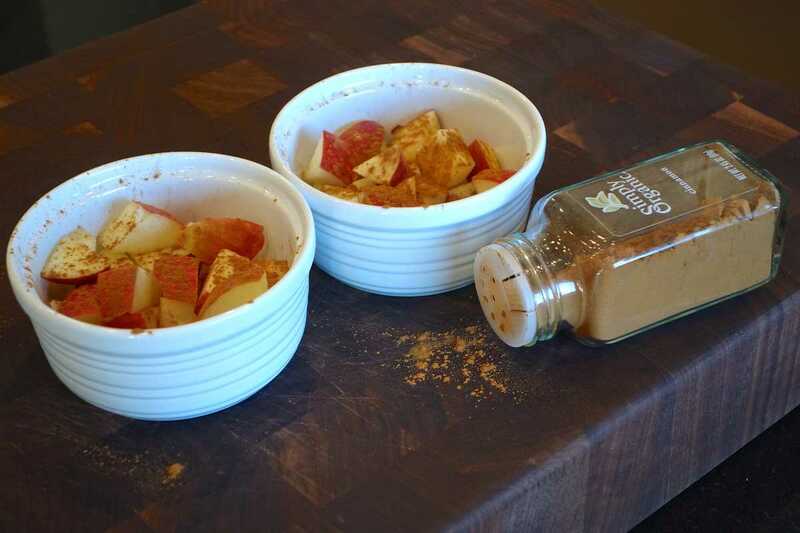 One of my favorite combos in the whole wide world is cinnamon and cooked apples. 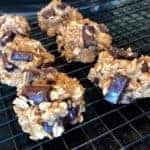 These two flavors spell comfort and happiness for me, but when you add a touch of sweetness with a chewy oatmeal topping, life suddenly becomes click-your-heels-in-the-air fantastic! Thus, this recipe was born. 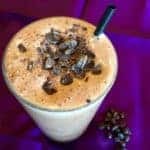 I wanted to find a way to enjoy this dessert in a quick yet guilt-free way should I have the sudden craving for such goodness. I’ve found that it takes only about 14 minutes to create, which makes this dessert all the better! 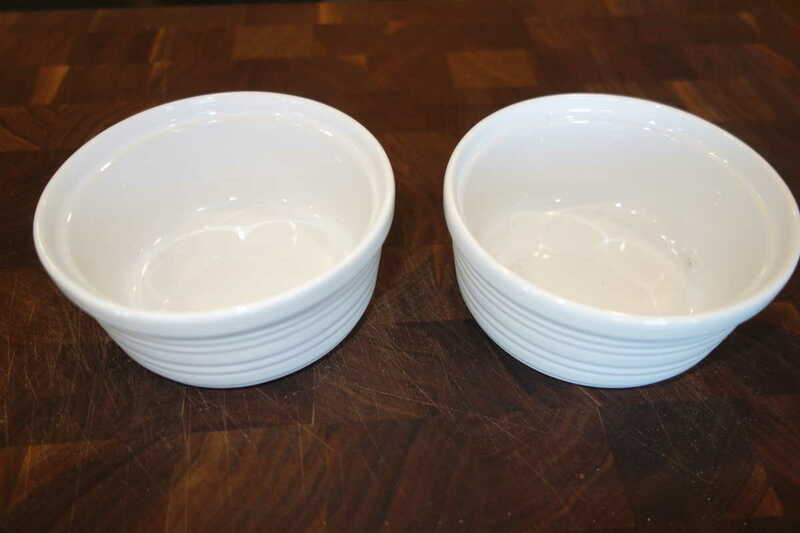 1) First, preheat your oven to 450º and then find yourself an oven safe dish that’s about 4 inches in diameter. You can also use a large muffin tin for the baking portion, but start off with a microwave safe bowl until you get past step #6 below. 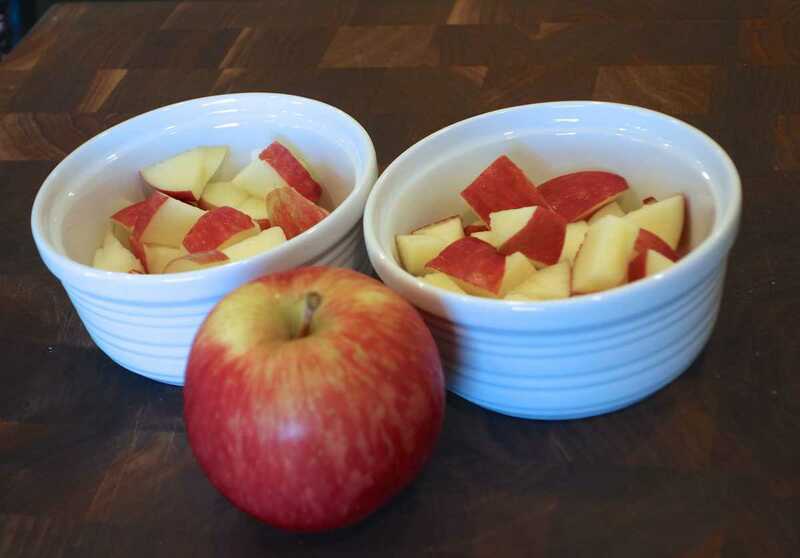 2) Next, chop up ½ of a medium sized apple (I used Fuji) and place it in the dish. 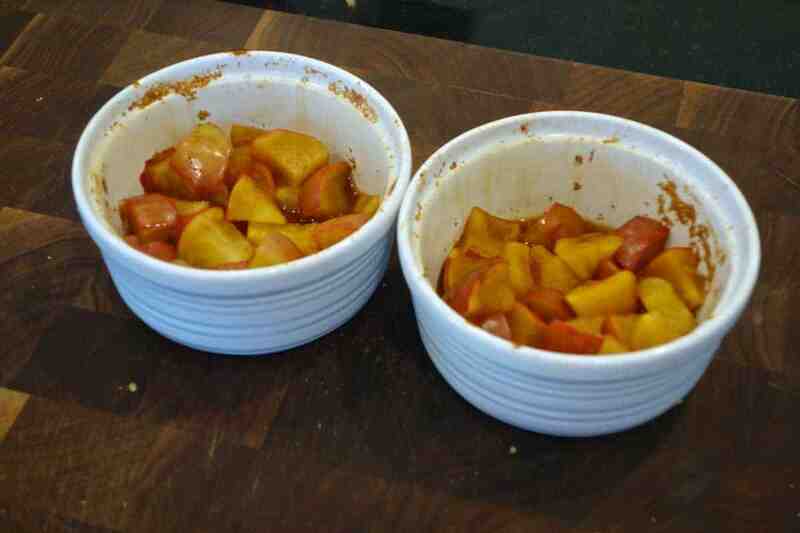 3) Then, grab your cinnamon and lightly dust the top of the chopped apples. 4) Now add your sweetener of choice. I used coconut sugar. 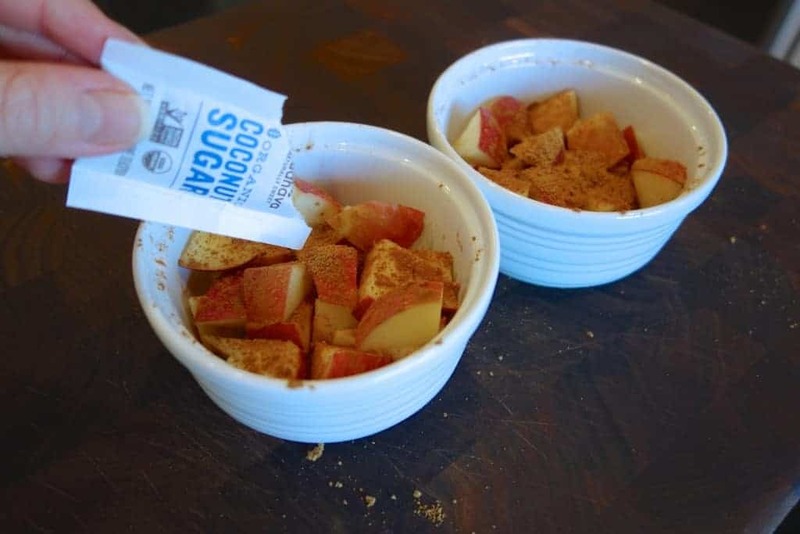 If you choose to use an artificial sweetener, monk fruit or stevia, you may want to add only ½ the amount called for in the recipe, as many calorie-free sweeteners are much sweeter than coconut, white or brown sugar. 5) Next, add the lemon juice. If you don’t have any fresh lemons handy, the bottled type of lemon juice will work just fine. 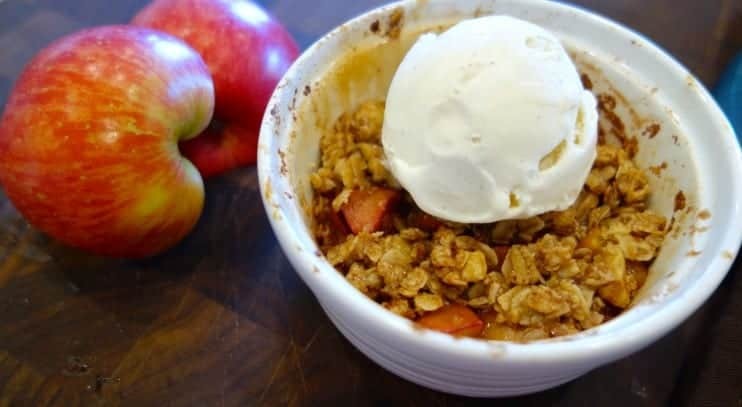 6) This next step is a big part of the reason why this recipe is so quick to make: take your apple mixture and microwave on high for one minute. If you’re not a fan of microwaving or if perhaps you don’t even own one – no biggie! Just add 3 – 5 minutes to the oven cooking time below. 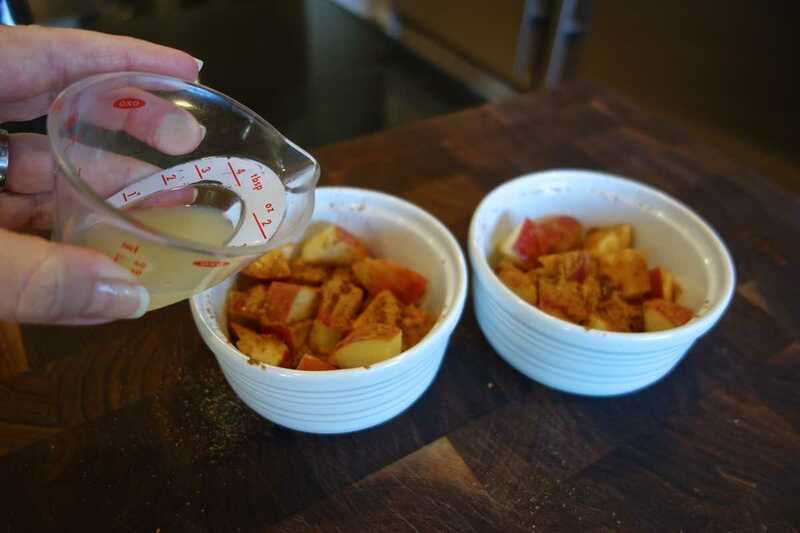 *If you’re using a muffin tin, transfer the apple mixture over once this step is complete. 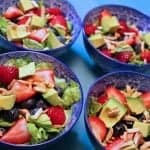 And mix it all together with your fingers until all ingredients are well incorporated. 8) Add this lovely oatmeal concoction to the top of your apple mixture. 9) Place your dish on a baking sheet and place on the top rack in the oven. 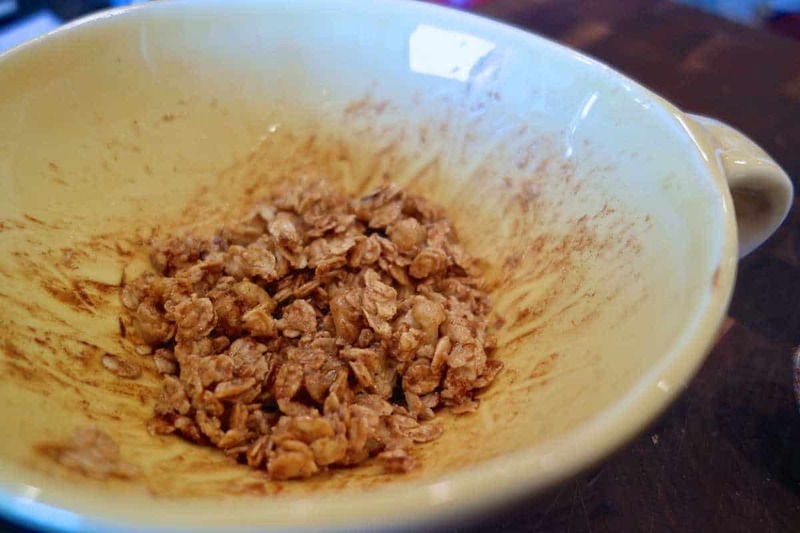 Bake for approximately 6 – 10 minutes or until the highest peaks of the oatmeal start to turn a light brown color. Two other indicators that the dessert is done baking is the glorious smell that suddenly permeates the kitchen, plus, the juices from the apple starts to bubble. 10) Ta-daa!! 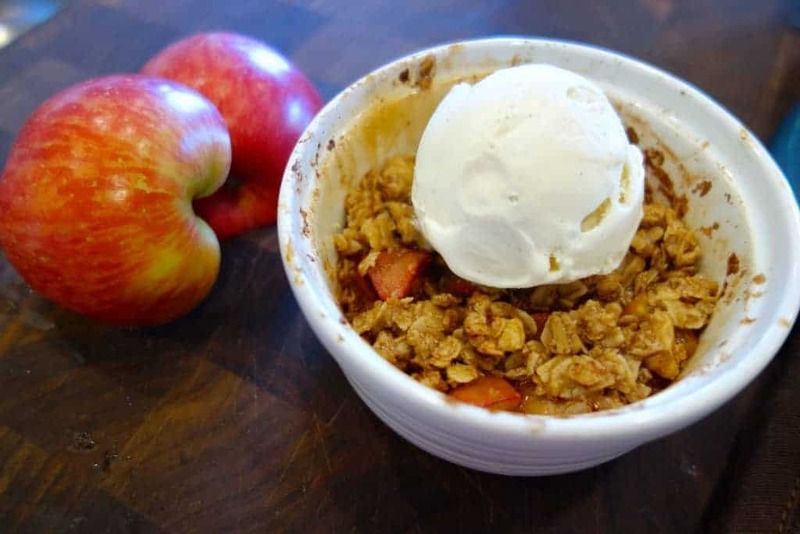 And there you have it… your own personal sized apple crisp! This is also a great dessert to make if you find yourself entertaining last minute for unexpected guests. Just whip up one for each person. 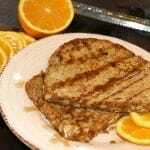 It’s so quick, easy and oh-so delicious! As a note: Be careful when handling after removing from the oven, as the dish may be very hot! 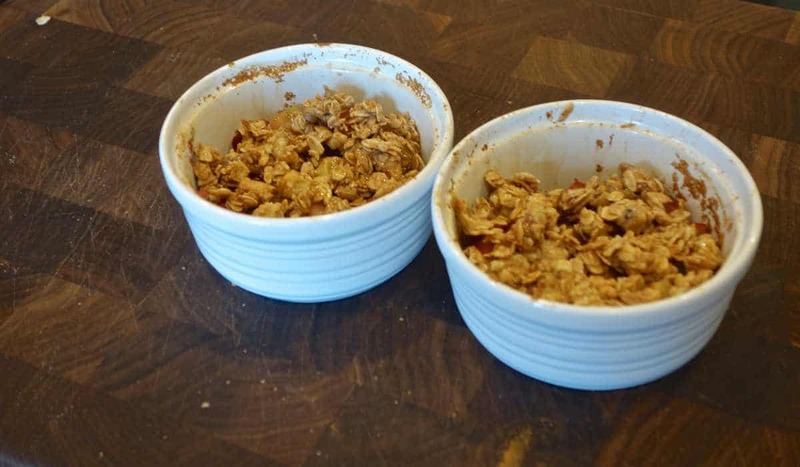 If you’re using a muffin tin, carefully spoon the dessert out into the serving vessel of your choice. Then if you so desire, add a scoop of non-dairy vanilla ice cream to the top (I like the cashew-based type). 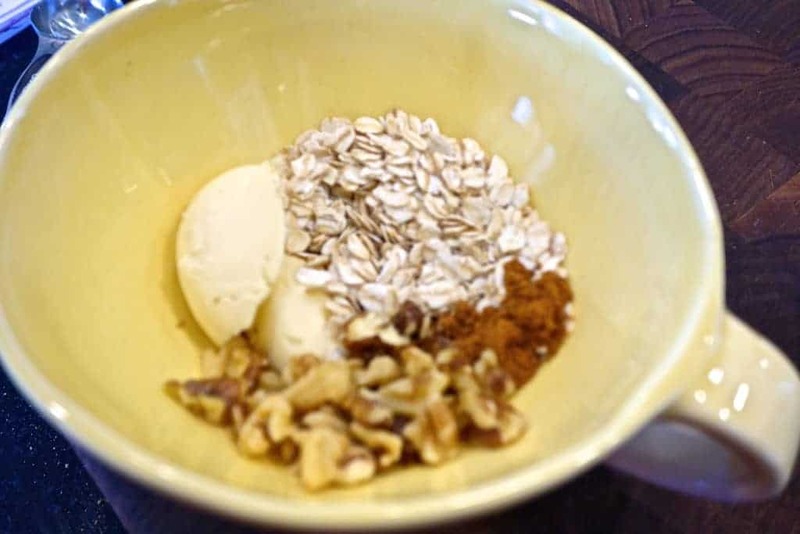 And if you’re feeling really fancy, dust the ice cream with a tiny bit of extra cinnamon, just for presentation’s sake. *Can substitute with half the amount of monk fruit or stevia. 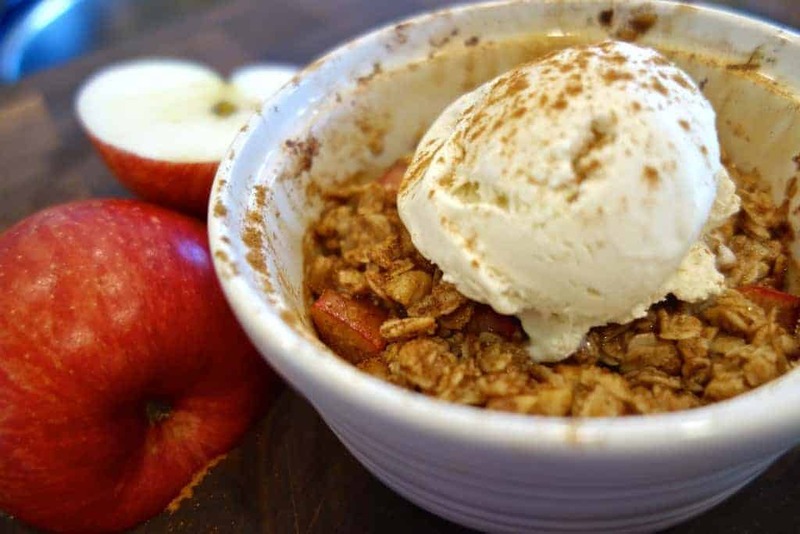 Watch this video to see how I make this apple crisp! This sounds delicious I love apples and anything cinnamon! Thanks! I totally agree! One of the best food combos ever. Yay, so glad to hear it, Emma! Thanks for the comment! 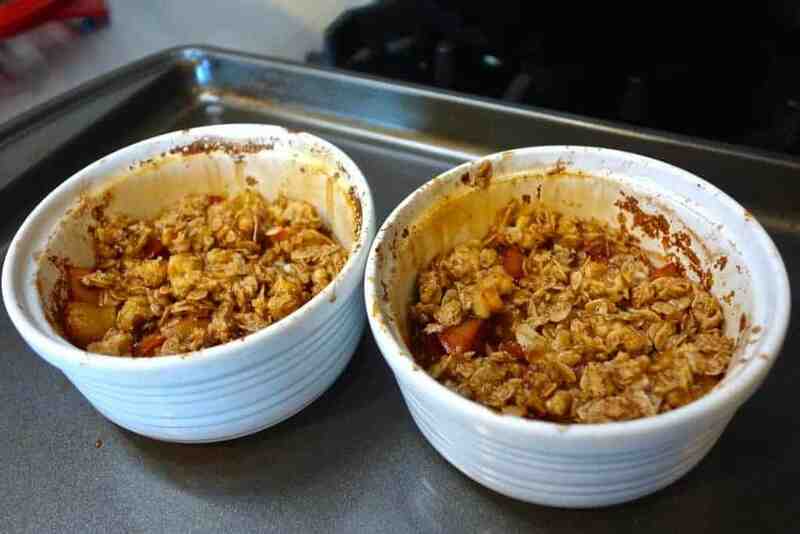 Omg…..easiest and best dessert EVER!! Teaching my 9 and 7yr olds to bake, they made these and it us easy, and deeeelish! 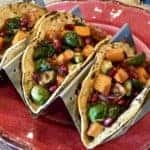 Thanks for this amazing recipe! So glad you like it ! Thank you very much for taking the time to comment. I had a baby 4 months ago and I have decided to change my eating style to lose the baby weight and have been craving sweets the entire time. I found this and fell in love instantly. Very little sugar but still a nice sweet treat. Love it. Thank you so much.